Because….EVERYDAY is Jollof Rice Day. Super established. This was an attempt – a great one too, I might add – at approximating the beauty of seafood flavours in our beloved J Rice. While I deliberated, lobsters and crabs came up briefly but then, I did not want to make a seafood paella and so I remained with my prawns. As I’ve shared before, deriving seafood essence is easily done by way of prawn heads. Don’t ever throw them away. Sautee the heads with salt and other seasoning, then blitz with water. Strain – a very vital step. Tomatoes, onions, chilies, curry powder, dried thyme, time, palate – cook. Here’s how. 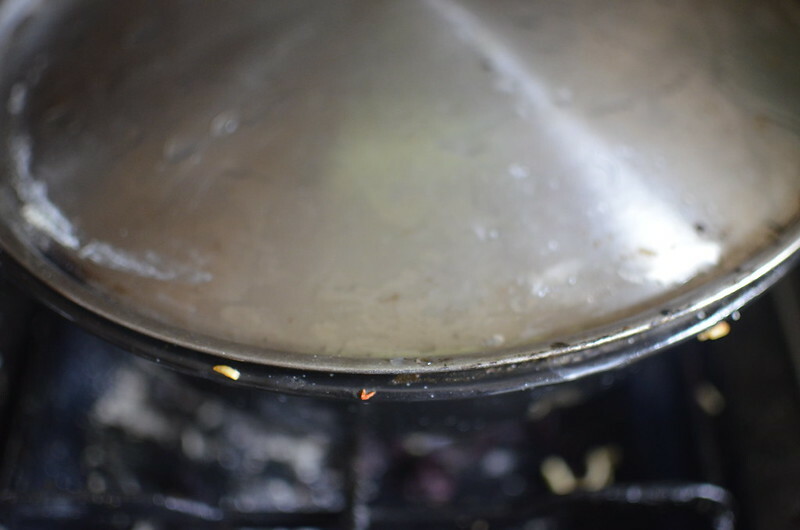 Par-cook your rice, just to speed up the process and help keep texture intact. 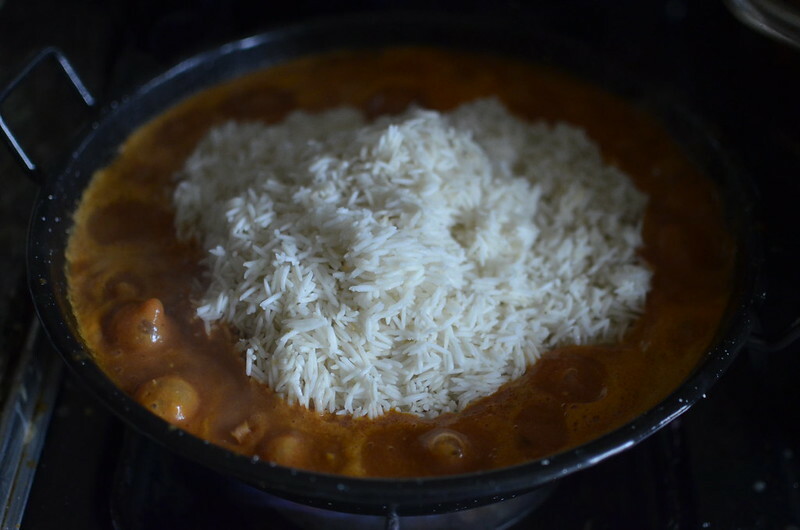 10 minutes works magic for most varieties of rice – I used basmati here, soaked before hand then cooked. 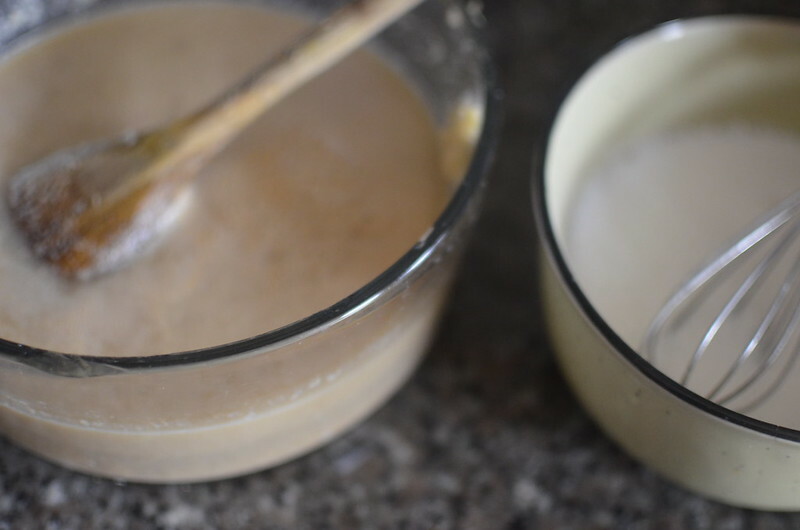 Mine was made with a combination of coconut milk and prawn stock. 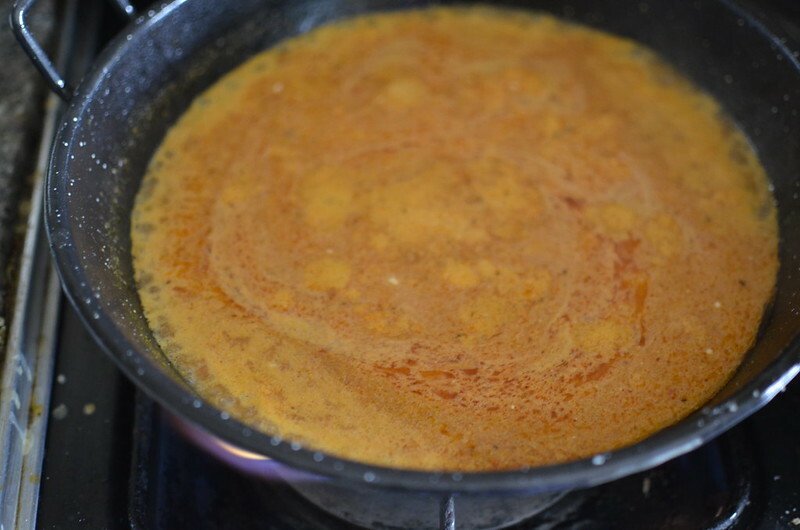 I began by combining the prawn stock, coconut milk and stew. To which I added the parcooked rice. Ratios are very important, I know. Then seasoned with curry powder and dried thyme. The result is rice, gently coated by sauce and stock, but not swimming. 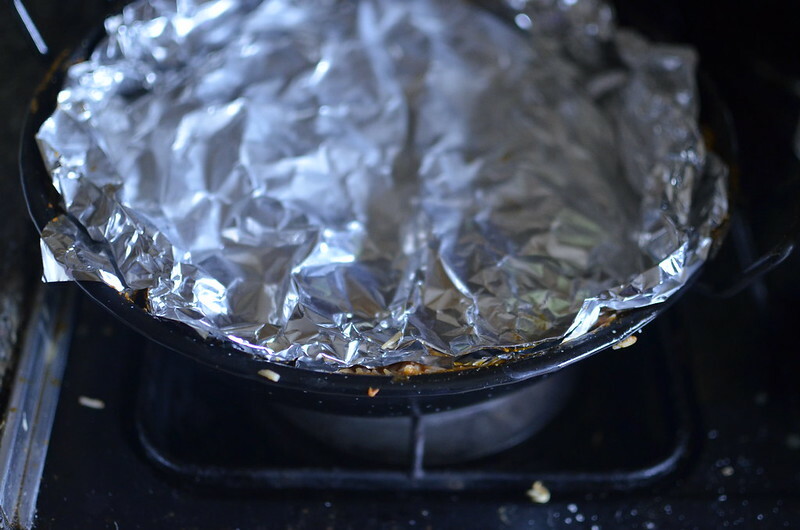 I covered with foil so the rice ‘steams’ under the silver canopy and set the pot on low heat. Not quite half an hour later, after checking and stirring, the rice was almost cooked. 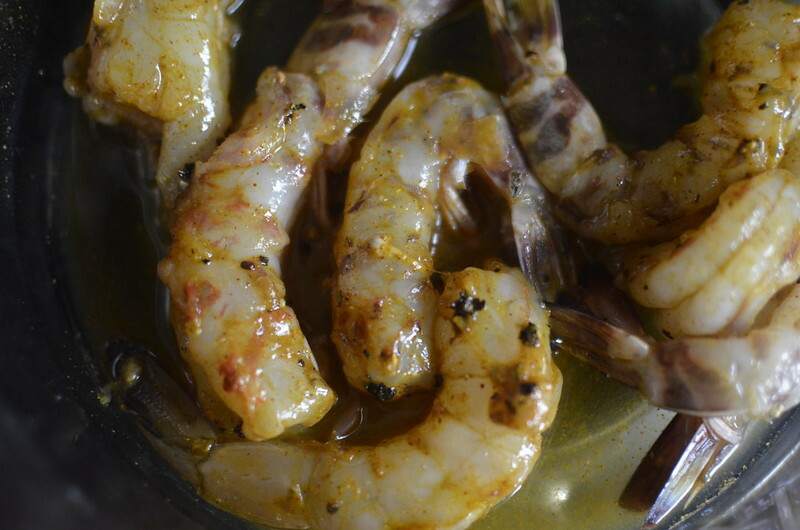 In went the prawns, which I made sure to season well before hand – I hate eating bland prawns which should be juicy and flavourful so if I had a top tip, this would be it – season your prawns before hand! 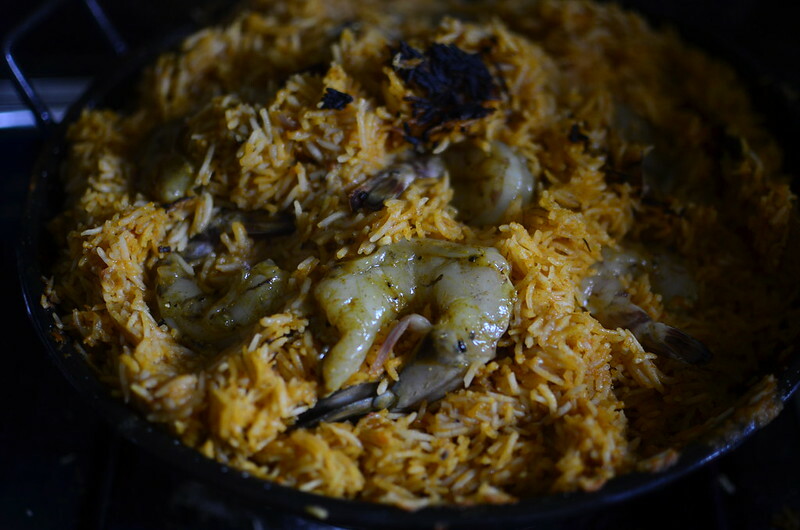 Then set prawns in almost-cooked rice, replace foil covering and pan lid and let cook for 3 – 5 minutes before gently folding in. The final step? 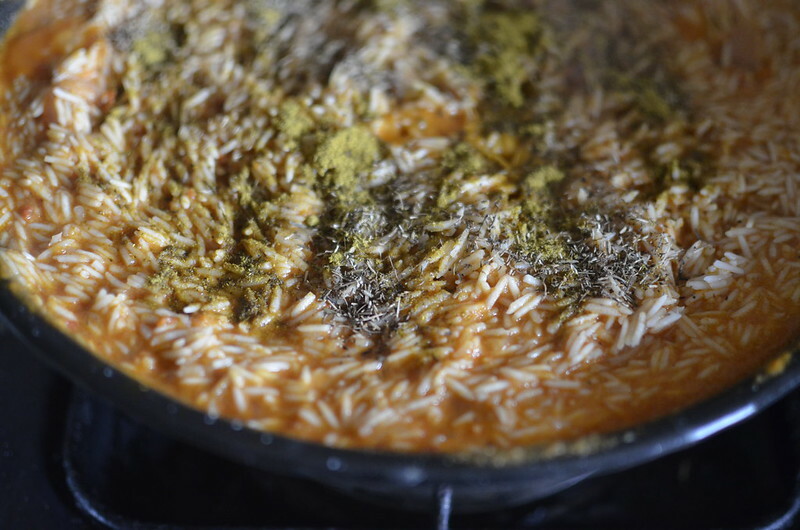 Set pan on high heat and let rice ‘burn’ to develop sweet, smoky flavour. The painful thing for me after making such a delicious pot of rice which was everything a prawn version should have been was I did not get a final photo of the plating.